A woman's worst fear was realized when the source of her excruciating headache turned out to be a large spider living in her ear. The 49-year-old patient, identified only as Lekshmi L., woke up from an afternoon nap on her veranda experiencing "slight discomfort" and a tingling sensation in her right ear, according to the Sun. Suspecting some sort of obstruction, she tried to dig around in her ear with her finger, but wasn't able to feel anything. After her headache became too excruciating to handle, Lekshmi's husband rushed her to Columbia Asia Hospital in Hebbal, India. 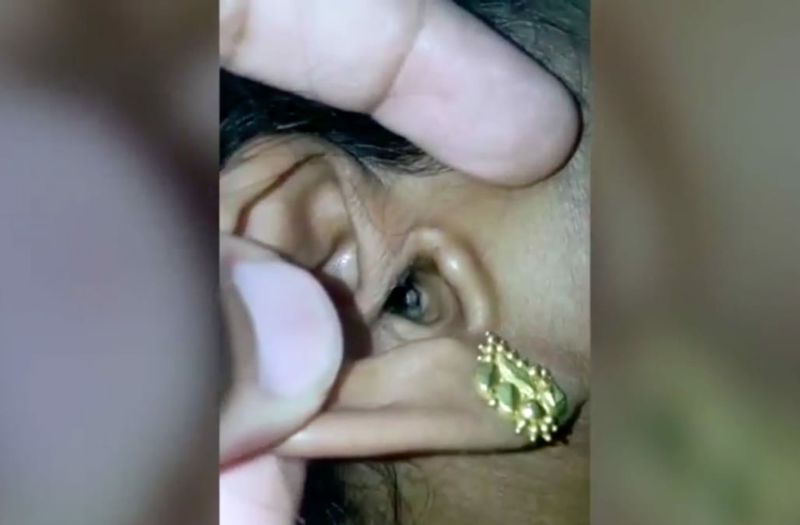 When doctors shone a light inside her aching ear, they discovered the horrific truth -- a live spider had crawled inside Lekshmi's ear and had taken up residence. Medics proceeded to coax the arachnid out of hiding, successfully leading it out of her ear canal with a small beam of light. Dr. Santosh Shivaswamy, Consultant ENT at Columbia Hospital, told the Sun that the terrifying nature of the patient's injury made it especially difficult to treat. "It is common to see emergency room visits due to the presence (of) a foreign object in the ear and it takes a simple procedure to remove the object," he said. "However, when a living insect makes its way inside a human ear, the patient's anxiety makes it difficult to continue the procedure." Michael Keaton jokingly walks out on Jimmy Kimmel after he Says Spider-Man is his favorite superhero: Watch!